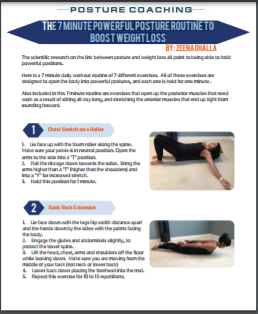 Enter your name and email and get the "7 Minute Power Posture Routine to Boost Weight Loss" FREE. I'm Zeena Dhalla, Certified Posture Specialist and self proclaimed posture geek. I designed this routine to help with your posture AND to help with your metabolism hormones.